DAVID LE/Staff photo. 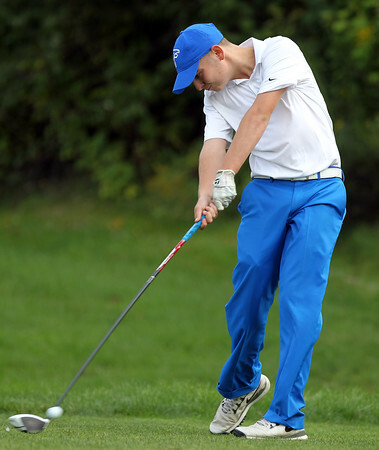 Danvers senior Wes Milbury tees off on Tuesday afternoon during an NEC golf match against Beverly at the Ferncroft Country Club. 9/22/15.